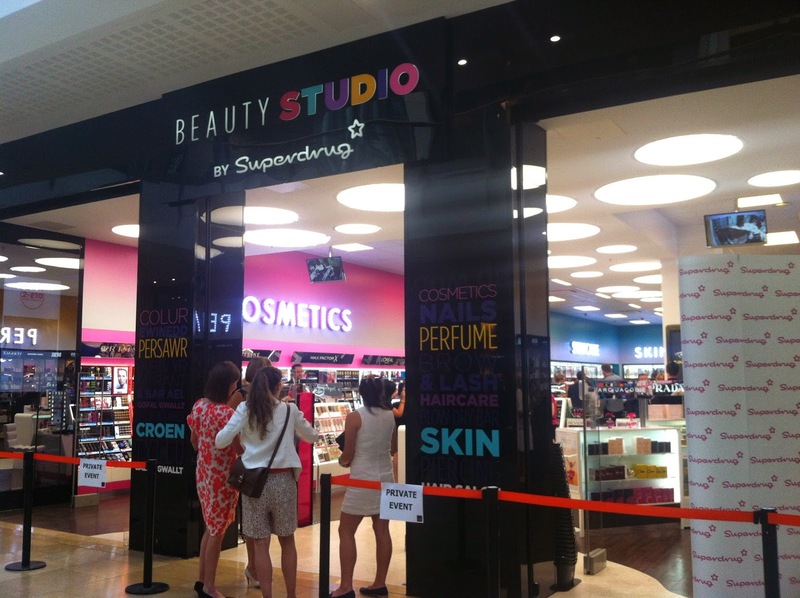 I was invited to pop along to the VIP launch for the new Superdrug store in Cardiff last week where bloggers and press got a sneak peak at what the store had to offer. Being the only store like this in the UK I was very ecstatic when I had the invite! I went along with fellow blogger SJ / Cowbiscuits to have a look around and hopefully do a little shopping! We were greeted and given a brief rundown on what the store has to offer before we were let loose in the store. We were also given £25 on a gift card to treat ourselves to whatever we wanted! 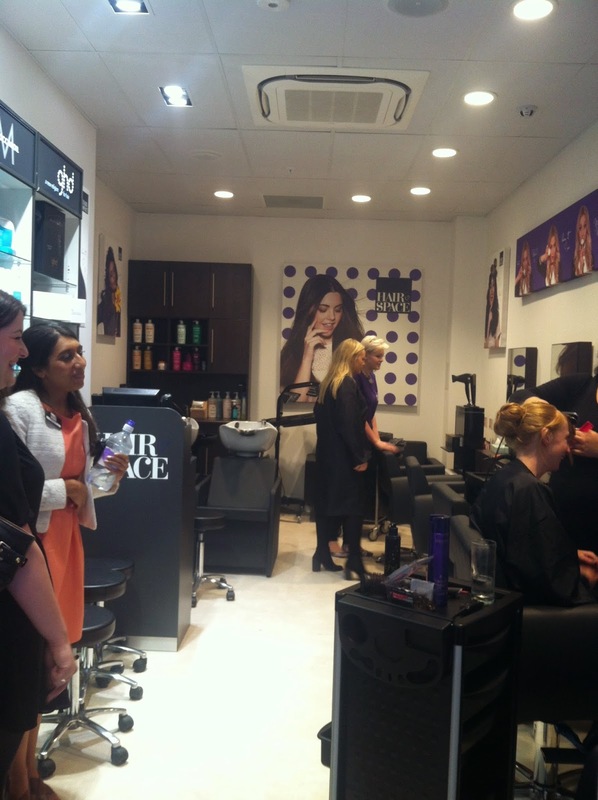 Services offered inside ranged from HD brows, LED Gels, free nail painting when a Revlon varnish is purchased, to makeovers, perfume samples and even has it’s own hair salon! One thing I did note that I had full respect for was how every heading and description that I could see was bilingual. Diolch yn fawr, Superdrug! Most of the cosmetics there you could already pick up in previous Superdrugs and Boots stores but when I caught eyes on TheBalm I literally couldn’t contain my excitement. One thing that has put me off trying their products is the fact I couldn’t try them out before purchasing so thats something I can absolutely do now! Other brands that were there that are new to Superdrug were Makeup Revolution and I ♥ Makeup, both of which I picked up goodies from, both brands affordable with highly pigmented products that seemed to specialize in creating very very very good dupes for higher end products, so definitely check them out. 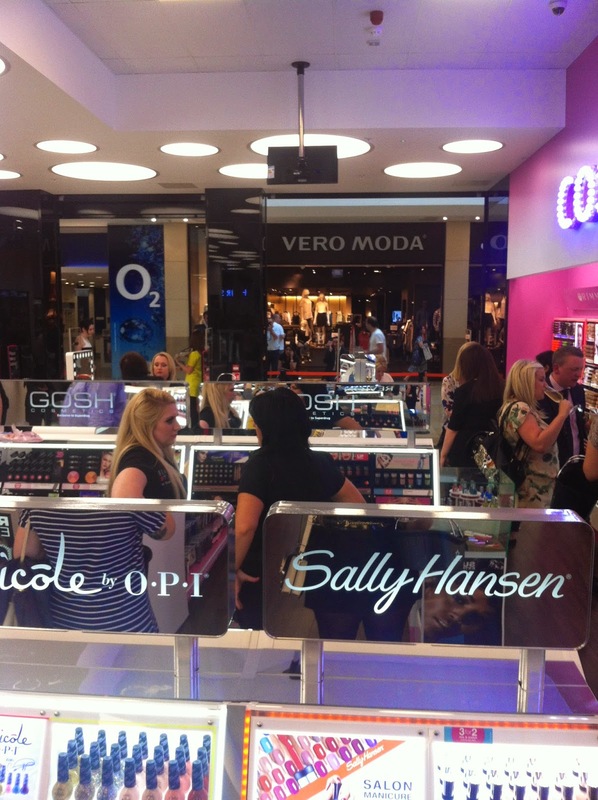 The usual brands such as Rimmel, Maybelline, GOSH, Revlon, Loreal, Maxfactor were also there. 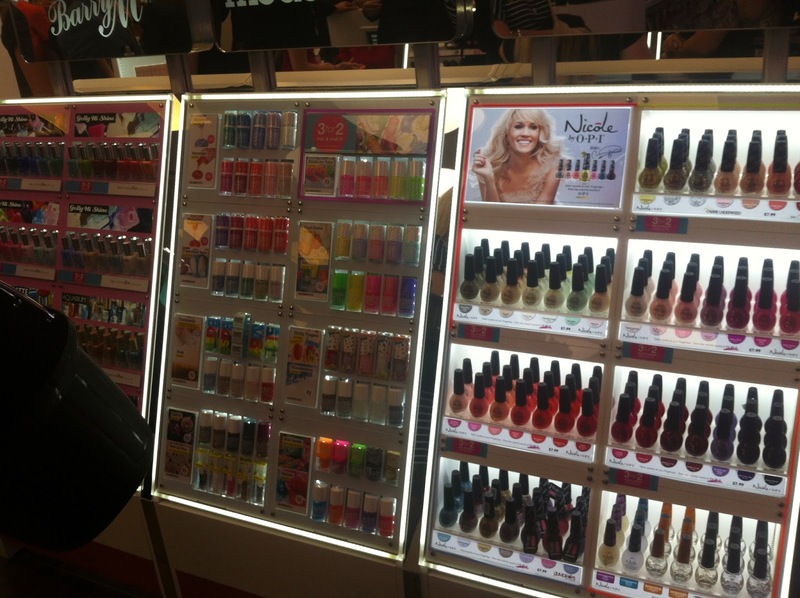 Nail brands included Nicole by OPI, Sally Hansen, Barry M and Essie. The layout of these stands were immaculate so when I pop back in for another shopping spree I think I’ll pick up some of these polishes to try! I had the chance to try out some of the services that were on offer. I opted out of hair styling but the salon offers a range of treatments cuts colours and styles, and the main strip in the shop offers nail painting and LED Nails, HD brows, threading, ear piercings, makeovers and a whole lot more. A relaxing treatment while you shop is something not to pass on! I chose to try out LED nails to see the difference on if they last as long as UV gel nails and a set of eyelashes courtesy of Eylure. 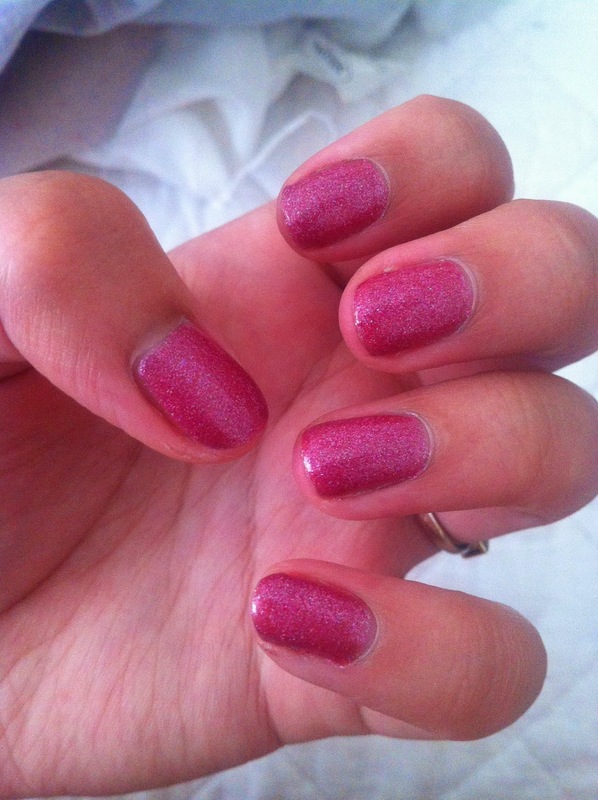 I opted for a glittery Barbie pink nail and thick lashes, both totally out of my comfort zone! 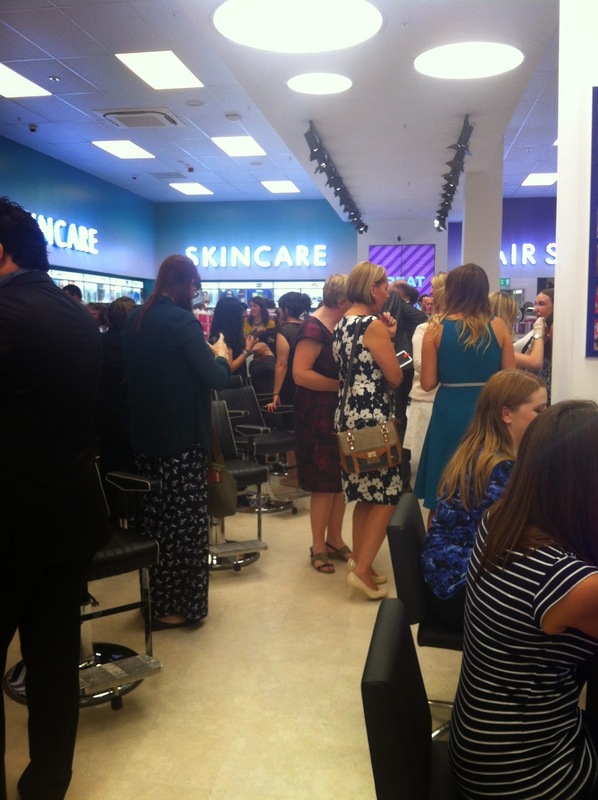 It was a fab night out and great to meet other bloggers and try new treatments and to see the new store. 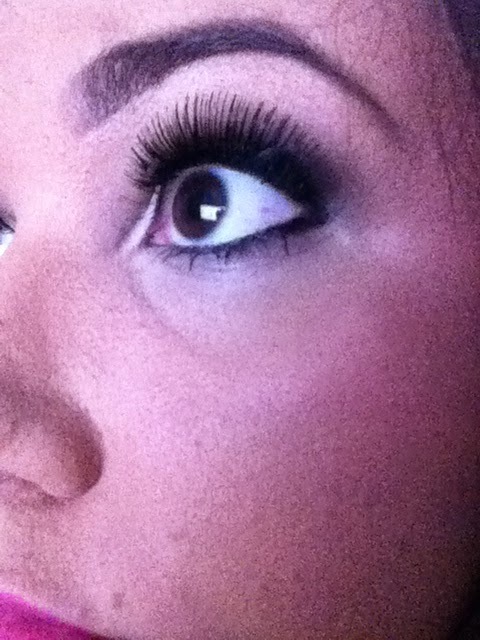 I’ll trial out all the products I’ve purchased and do a separate blog post for those. Thank you Superdrug for the invite and be sure to check out the shop in St Davids 2 in Cardiff. 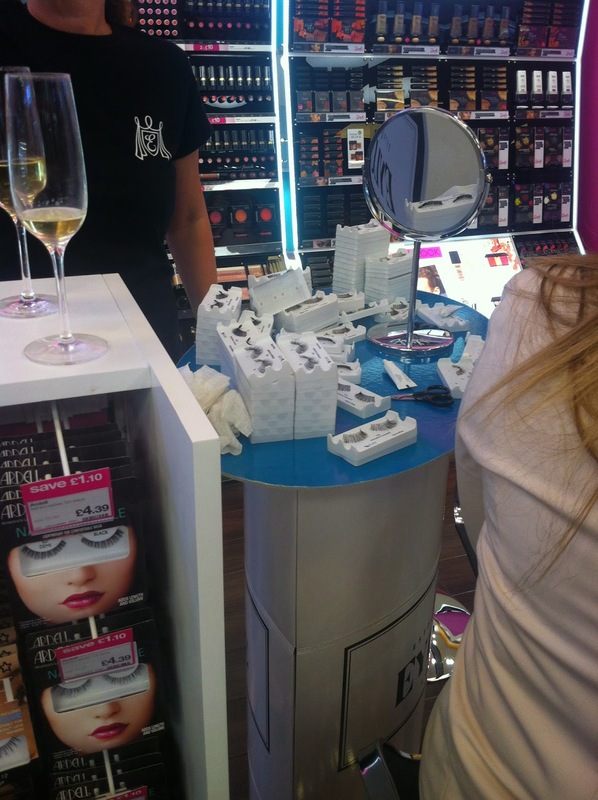 Posted on July 12, 2014 January 3, 2015 by sindyydollPosted in Local and National Events, Press EventsTagged bblog, bblogger, blogger event, cardiff, Cardiff blogger, cardiff event, colour studio, I ♥ makeup, Makeup Revolution, nail painting, superdrug, superdrug colour studio review, superdrug review, TheBalm, VIP event. Previous Previous post: I’m moving house! Next Next post: But I don’t want to be pink toned! Why am I yellow toned? Questions and Comments MUAs get asked #1.